This holiday shopping season, no one’s going to have to ask, “Where’s Jyn?” Unlike the strong female characters who came before her — you know, Black Widow, Gamora, Rey — instead of waiting until we politely started asking for them (aka, BEGGING), Disney and Star Wars have released a whole beautiful line of Rogue One toys, and our newest favorite heroine from that galaxy far, far away is front and center. And friends, we’re in love with everything. 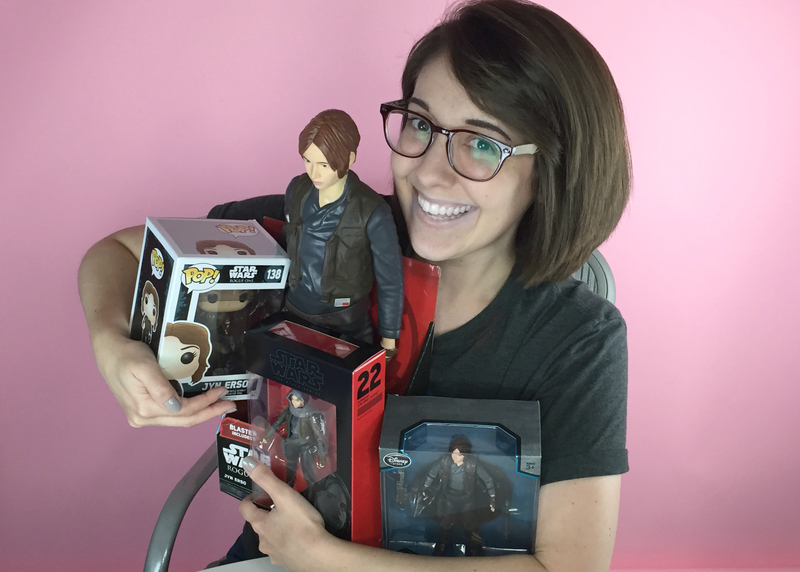 Disney knows how much we love Star Wars, and how excited we are for Rogue One, and they were nice enough to send over a big, magical box of toys for us to play with at HelloGiggles. In short, if you’ve been waiting your whole life for some lady-powered Star Wars toys — AWESOME lady-powered Star Wars toys, we might add — then soon, look no further than your nearest major store to find these gems. Jyn Erso is about to be everywhere. The #GoRogue campaign has officially launched, where you can make your own 2-minuet Rogue One video for a chance to win an early screening of the movie actually at Lucasfilm in San Francisco. Um, yes please. Who needs help making a #GoRogue video?? The #GoRogue contests runs from this very second up until October 21st. And from there, it’s only a short 57 days until Rogue One lands in theaters on December 16th. So go buy one (or 15) different Jyn toys, and get cracking on your own Rogue One story. If you need us, we’ll be here trying to assemble this 385 piece Lego Imperial Assault Hovertank (IT COMES WITH TINY LEGO LIGHTSABERS).